Very nice 5.5 acre homesite in unique Rivers Divide subdivision. The owners have already had the well drilled and cased. So, you dont have to worry about how deep the well will have to be and what it will cost, its 520 feet deep and in the Denver aquifer. Sloping lot offers walkout potential. Underground electric and phone lines are on the property along the road for easy access. 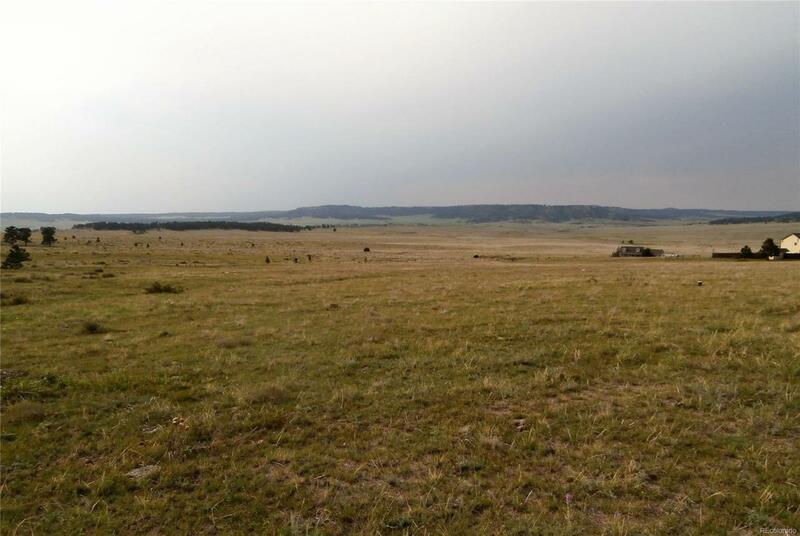 Overlooks a large working cattle ranch and is in the Bijou Basin and Monument Ridge areas. There even use to be an old stage stop. To help preserve the agricultural history of the area and keep the land taxes low, cattle still graze throughout the subdivision. Looking for an exceptional homesite with the feel of being in the mountains and part of a cattle ranch? Come out and take a look at this property, you wont be disappointed. Less than a 30 minute drive from Colorado Springs for all of this! Offered by Ed Kovitz & Associates Llc.